Grammar is important for passing the IELTS, but you already knew that. In order to pass the writing or speaking exams, you need a pretty good grasp of grammar. Yet you also need an extensive vocabulary – that’s pretty important for the reading and listening exams. But how do you learn new words? Most importantly, you don’t learn them in isolation. You learn collocations. You learn how to use the word, or else knowing it is useless. 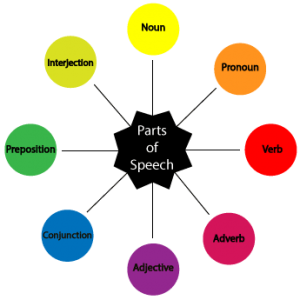 Thus, it is essential that you know the different parts of speech in order to do well in IELTS. Some people argue that articles (a/an/the) are a separate category; however, you can include these as a sort of adjective. In most textbooks they list 8 parts of speech, so that’s what we will use here. Why Learn Parts of Speech for IELTS? Fortunately, it doesn’t take long to learn the 8 parts of speech. In fact, I’m sure many of you know them already. However, if you don’t, you can use the PPT below as a refresher, or check out this great parts of speech overview. When studying new vocabulary, you need to take into consideration the different parts of speech and the use these words accordingly in your practice. Make note of when words may fall into different categories. For example, “work” can be either a noun or a verb, and is used differently according to which part of speech it is. When you come upon a difficult reading text, you can help yourself to understand the text by identifying the parts of speech. 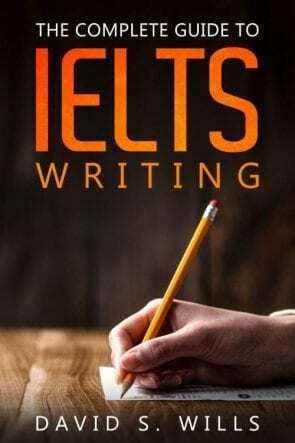 This will help you in the IELTS reading exam. For example, if you read about “deciduous trees,” you might not know the meaning of “deciduous.” But you can tell that this is an adjective that is modifying the noun, “tree.” Then you can look for clues in the text as for its meaning. I made this simple PPT describing the different parts of speech and how to build up basic sentences using them. Hey folks, this is an update as of 2018. I just uploaded a video to my YouTube channel that gives a full lesson on parts of speech. Wow! Take a look and let me know what you think. And don’t forget to give it a LIKE if you found it useful.